The Coronation Church of Our Lady and - top left - Square of Holy Trinity (Szentháromság tér) with the Holy Trinity Column built in 1713. King Charles IV, taking his Coronation Oath on 30 December 1916 at Holy Trinity Column outside Matthias Church. The first church on the site was founded by Saint Stephen, King of Hungary in 1015. 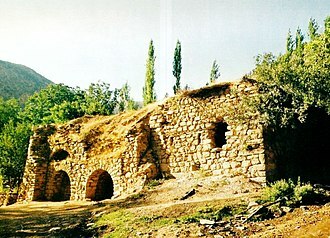 This building was destroyed in 1241 by the Mongols; the current building was constructed in the latter half of the 13th century. Originally named after the Virgin Mary, taking names such as "The Church of Mary" and "The Church of Our Lady," Matthias Church was named after King Matthias in the 19th Century, who ordered the transformation of its original southern tower. 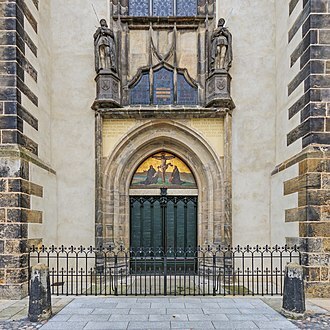 The church was the scene of several coronations, including that of Charles IV in 1916 (the last Habsburg king). It was also the site for King Matthias's two weddings (the first to Catherine of Poděbrady and, after her death, to Beatrice of Naples). During the century and a half of Turkish occupation, the vast majority of its ecclesiastical treasures were shipped to Pressburg (present day Bratislava) and following the capture of Buda in 1541 the church became the city's main mosque. 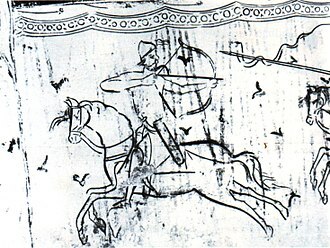 Ornate frescoes that previously adorned the walls of the building were whitewashed and interior furnishings stripped out. 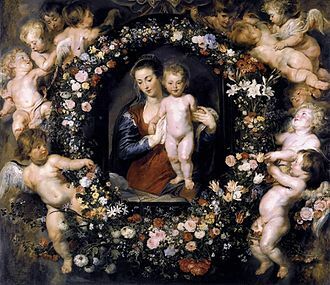 The church was also the location of the "Mary-wonder." In 1686 during the siege of Buda by the Holy League a wall of the church collapsed due to cannon fire. It turned out that an old votive Madonna statue was hidden behind the wall. 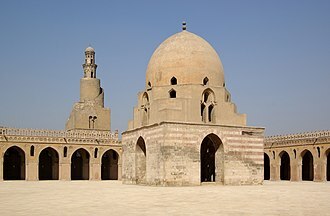 As the sculpture of the Virgin Mary appeared before the praying Muslims, the morale of the garrison collapsed and the city fell on the same day. 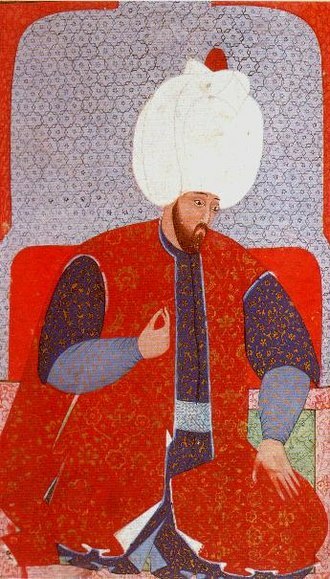 Although following Turkish expulsion in 1686 an attempt was made to restore the church in the Baroque style, historical evidence shows that the work was largely unsatisfactory. It was not until the great architectural boom towards the end of the 19th century that the building regained much of its former splendour. The architect responsible for this work undertaken in 1873-96 was Frigyes Schulek. The church was restored to its original 13th-century plan, but a number of early original Gothic elements were uncovered. By also adding new motifs of his own (such as the diamond pattern roof tiles and gargoyles laden spire) Schulek ensured that the work, when finished, would be highly controversial. The church was the venue for the coronation of the last two Hungarian Habsburg kings, Franz Joseph in 1867 and Charles IV in 1916. During World War II the church was badly damaged. Matthias Church was used as a camp by the Germans and Soviets in 1944–45 during the Soviet occupation of Hungary. The church was largely renovated between 1950 and 1970 with funding from the Hungarian government. The bell tower was restored, along with renovation of interior paints and frescos. The five-manual organ, which had been destroyed during the war, was updated and sanctified in 1984. A thorough restoration programme was carried out from 2006 to 2013. Half of the HUF 9.4 billion cost was met by the government. 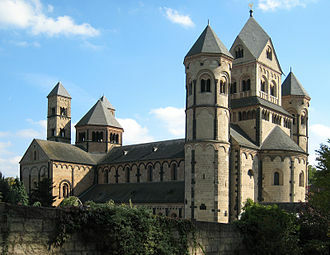 It is home to the Ecclesiastical Art Museum, which begins in the medieval crypt and leads up to the St. Stephen Chapel. The gallery contains a number of sacred relics and medieval stone carvings, along with replicas of the Hungarian royal crown and coronation jewels. The pulpit was built in medieval style. The pulpit of the church was built between 1890 and 1893 during the extensive reconstruction of the building. It was designed by Frigyes Schulek with the help of art historian Béla Czobor who contributed to the draft of the iconographic plan. 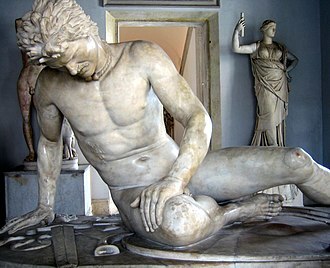 The statues were carved by Ferenc Mikula, the abat-voix was made by Károly Ruprich. The two bishops and the saintly pope are portrayed in the traditional attire of their office, and Jerome is wearing cardinal robes. The parapet is supported by brackets decorated with grotesque heads in medieval style, and framed by two bands of carved vegetal decoration (vine and acanthus leaves). The first recorded pulpit was erected in 1693 after the reconversion of the building from mosque to church under the ownership of the Jesuits. Nothing is known about its appearance. A new Baroque pulpit was installed in 1769 by Countess Erzsébet Berényi, the owner of the Zichy estate of Óbuda. This was probably made by Károly Bebo, the stewart and sculptor of the estate who made several high-quality Baroque pulpits in the region, including those in the parish church of Óbuda and the Trinitarian church of Kiscell. His work in the Matthias Church was recorded by a litograph of Gusztáv Zombory (1857) and the only surviving photograph of the interior of the church before its extensive reconstruction. Bebo's lost work should have been a fine example of Central-European Baroque wood carving. The pulpit itself was decorated with reliefs and two statues of prophets (perhaps Moses and Aaron) and two angels sitting on its ledge. 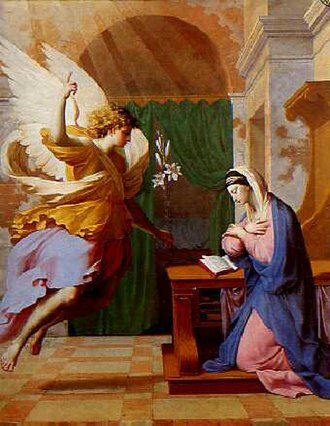 The canopy of the abat-voix was supported by two flying angels. There was a statue of the Risen Christ on the top surrounded with cherubs. The old pulpit was demolished by Frigyes Schulek immediately after the closure of the church in 1876 at the start of the long reconstruction. Only two figures of flying cherubs survived, which were probably parts of the structure, the first one in the Hungarian National Gallery and the other in the collection of the parish church. Today the church has 7 bells. Six of them are located in the bell tower and the last damaged bell hangs in the cavalry tower. Two of the tower's bells are historic bells. The church got 4 new bell in 2010, then the Szt. Károly bell sound correction took place. Stamps issued by Hungary; on 24 January 1927, on 26 March 1926 and in 1930. ^ Cannon, Gwen (2008). Hungary, Budapest (New ed.). Clermont-Ferrand: Michelin. pp. 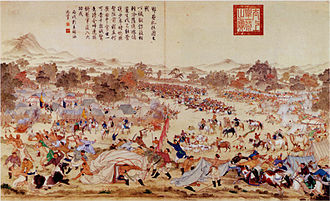 126–128. ISBN 978-1-906261-18-4. Schneider, Rolf (2004). Manfred Leier, ed. 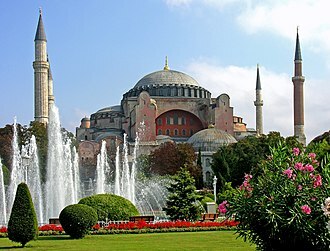 100 most beautiful cathedrals of the world: A journey through five continents. trans. from German by Susan Ghanouni and Rae Walter. Edison, New Jersey: Chartwell Books. pp. 104–105. Wikimedia Commons has media related to Matthias Church (Budapest). Beatrice of Naples, known as Beatrice of Aragon, was the daughter of Ferdinand I of Naples and Isabella of Clermont. She was twice Queen of Hungary and of Bohemia, having married both Matthias Corvinus and Vladislaus II, Beatrice received a good education at her fathers court in Naples. She was engaged in 1474 and married Matthias in Hungary 22 December 1476, again in 1488, Matthias took Ancona under his protection for a while, occupying it with a Hungarian garrison. Beatrice exerted some influence in the policy of Hungary and she wished to participate in policy, in 1477, she accompanied Matthias during the invasion of Austria, and in 1479, she was present during the peace treaty between Matthias and Vladislaus II. In 1479, their relationship became tense when Matthias awarded his illegitimate son John Corvinus with a fief and invited Johns mother, Barbara Edelpock, Matthias died before Beatrice ever conceded that his son János should be the rightful heir. Upon his death in 1490, Beatrice managed to keep a position by the support of the Hungarian nobility. After the death of Matthias Corvinus, she wrote a letter to Simon Keglevich, she addressed this letter to king Simon Keglevich and she offered him to become as a mother to his children. 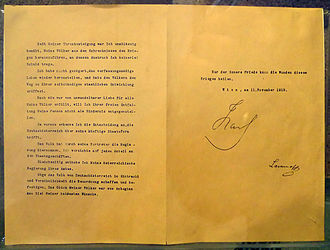 He declined this offer, he delivered this letter to the parliament and she presided as a royal representative at the parliament where the next king was elected, with the Hungarian crown placed at her side. It is believed she could not control Janos and was claimed illegitimate by her second husband, Vladislaus II of Bohemia and Hungary wrote in the same year 1490 many letters with the same text to many of the Hungarian nobility. Beatrice married her husband, Vladislaus II of Bohemia and Hungary. Beatrice had great support by the Hungarian nobility, and the nobility had demanded of Vladislav that he marry her and this marriage was yet again childless. Formally, the marriage was questioned, as her spouse was not granted a divorce from his first wife by the pope. Her husband claimed that he did not regard the marriage as legal, and that he had forced to marry her against his will, and in 1493. Frigyes Schulek was a Hungarian architect, a professor at József Technical University and a member of the Hungarian Academy of Sciences. Schulek was born in Pest and began school in Buda and his father Ágost Schulek held a position in the Finance Ministry of Lajos Kossuth. The Schulek family accompanied Kossuths government on its flight to Debrecen during the Hungarian Revolution of 1848, after the suppression of the struggle for independence, Ágost Schulek was declared persona non grata, and the family returned to Debrecen. 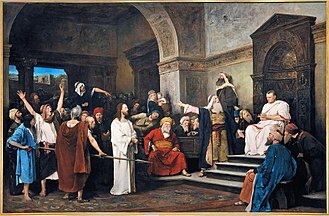 Graduating in 1857, Frigyes Schulek enrolled in the Buda Polytechnic, thereafter he attended the Academy of Fine Arts in Vienna. He became a member of the Wiener Bauhütte where he studied under Friedrich von Schmidt, in 1866 he briefly worked on the restoration of the Regensburg Cathedral, subsequently visiting France and Italy. From 1871 he taught drawing at the Budapest Art School. 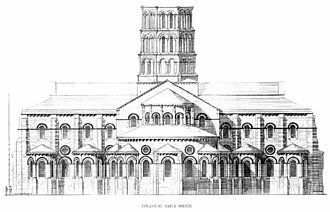 In 1872 he was appointed architect of the newly founded Provisional Monuments Commission, known as the National Monuments Commission, here he coordinated the reconstruction and restoration of mediæval castles and churches. Between 1874 and 1896 Schulek rebuilt the Church of Our Lady in Buda Castle, originally built in an early French Gothic style, it had been destroyed by fire in 1526, reopened as a mosque in 1541. After the Ottoman period and its 1586 reconversion to a church, the Franciscans and, and his other restorations include the town hall of Lőcse and churches at Ákos and Pozsony. Of the few buildings Schulek designed himself, most are in the Neo-Romanesque style and these include the Calvinist Reformed Church in Szeged and the Elisabeth Lookout at János-hegy, Budapest. Between 1895 and 1903 Schulek designed corridors and towers to connect still-extant portions of the fortress behind Matthias Church. Known as the Fishermans Bastion, the viewpoint has become a city landmark and his 1909 design for the Votive Church of Szeged, a twin-spired structure with red-brick façades and white stone trim, was modified by Ernő Foerk, and construction was completed by 1930. In 1903, following Imre Steindls death, Schulek was appointed professor of architecture at the Technical University of Budapest. The Coronation of the Hungarian monarch was a ceremony in which the king or queen of the Kingdom of Hungary was formally crowned and invested with regalia. It corresponded to the ceremonies that occurred in other European monarchies. In the Middle Ages, all Hungarian coronations took place in Székesfehérvár Basilica, the Archbishop of Esztergom anointed the king or queen. 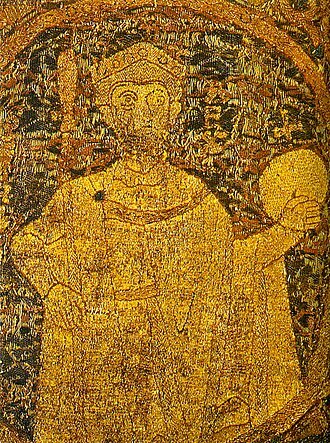 The Archbishop placed the Holy Crown of Hungary and mantle of Saint Stephen on the head of the anointed person, the king was given a sceptre and a sword which denoted military power. Upon enthronement, the crowned king took the traditional coronation oath. Other clergy and members of the nobility had roles, most participants in the ceremony were required to wear uniforms or robes. Many other government officials and guests attended, including representatives of foreign countries, as the legends say, the first Hungarian monarch, Saint Stephen I was crowned in the St Adalbert Cathedral in Esztergom in the year of 1000. After his death he was buried in the Cathedral of Székesfehérvár which he started to build and had buried his son Saint Emeric, since then, the following Hungarian monarchs starting with Peter Orseolo, Saint Stephens nephew in 1038. The huge Romanic cathedral was one of the biggest of its kind in Europe, however he had to be crowned three times because of the internal conflicts with the aristocrats that werent willing to accept his rule. 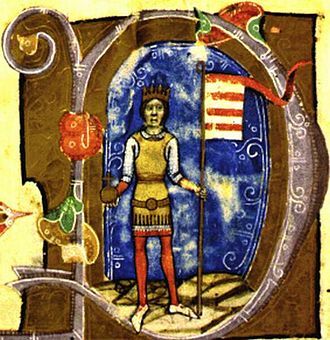 He was crowned for the first time in may of 1301 by the archbishop of Esztergom and this meant that two of the conditions for the legitimacy were not being fulfilled. Finally, after obtaining the Holy Crown, Charles was crowned for his third time, only after this, Matthias started with internal and institutional reforms in the Kingdom, having been considered as the legitimate ruler of Hungary. 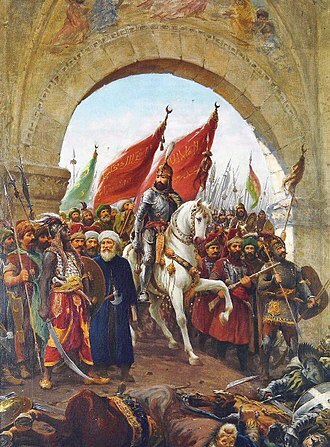 The Ottomans used the cathedral for gunpowder storage, and during the attack the building was destroyed, rulers of Hungary were not considered legitimate monarchs until they were crowned King of Hungary with the Holy Crown of Hungary. As women were not considered fit to rule Hungary, the two queens regnant and Maria Theresa, were crowned kings of Hungary. 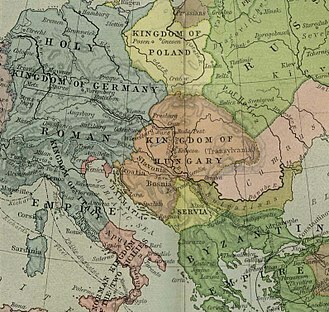 Even during the personal union of Austria and the Kingdom of Hungary. It was designed and built between 1895 and 1902 on the plans of Frigyes Schulek. Construction of the bastion destabilised the foundations of the neighbouring 13th century Dominican Church which had to be pulled down, between 1947–48, the son of Frigyes Schulek, János Schulek, conducted the other restoration project after its near destruction during World War II. Its seven towers represent the seven Magyar tribes that settled in the Carpathian Basin in 896, from the towers and the terrace a panoramic view exists of Danube, Margaret Island, Pest to the east and the Gellért Hill. The Buda side castle wall was protected by the fishermens guild, other people say, it got the name from the part of the city, which lies beneath the tower. The guild of fishermen was responsible for defending this stretch of the city walls in the Middle Ages and it is a viewing terrace, with many stairs and walking paths. A bronze statue of Stephen I of Hungary mounted on a horse, erected in 1906, the pedestal was made by Alajos Stróbl, based on the plans of Frigyes Schulek, in Neo-Romanesque style, with episodes illustrating the Kings life. Buda is the former capital of the Kingdom of Hungary and since 1873 the western part of the current Hungarian capital Budapest on the west bank of the Danube. Buda comprises about one-third of Budapests complete territory and is mostly wooded, notable landmarks include the Buda Castle and the Citadella. The Hungarian presidents residence, Sándor Palace, is in Buda, Buda became part of Ottoman-ruled central Hungary from 1541 to 1686. 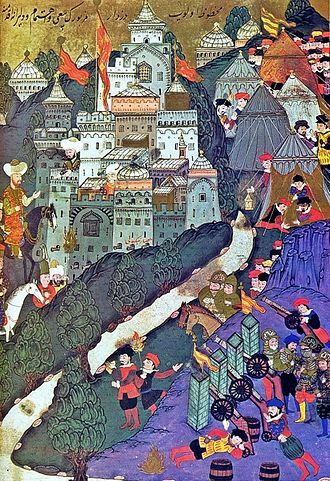 It was the capital of the province of Budin during the Ottoman era, by the middle of the seventeenth century Buda had become majority Muslim, largely resulting from an influx of Balkan Muslims. 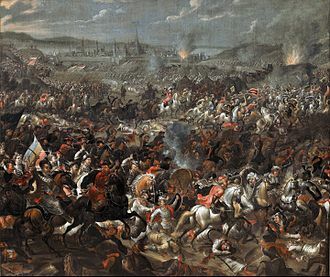 In 1686, two years after the siege of Buda, a renewed European campaign was started to enter Buda. After the reconquest of Buda, bourgeoisie from different parts of southern Germany moved into the almost deserted city, germans — clinging to their language — partly crowded out, partly assimilated the Hungarians and Serbians they had found here. 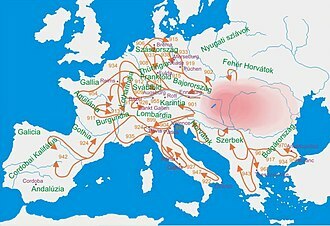 As the rural population moved into Buda, in the 19th century slowly Hungarians became the majority there. Buda Castle is the historical castle and palace complex of the Hungarian kings in Budapest, and was first completed in 1265. In the past, it has been called Royal Palace and Royal Castle and it is linked to Clark Ádám Square and the Széchenyi Chain Bridge by the Castle Hill Funicular. The castle is a part of the Budapest World Heritage Site, the first royal residence on the Castle Hill was built by King Béla IV of Hungary between 1247 and 1265. It is uncertain whether it was situated on the tip of the hill or on the northern elevation. The oldest part of the palace was built in the 14th century by Stephen, Duke of Slavonia. Only the foundations remain of the keep, which was known as Stephens Tower. The Gothic palace of King Louis I was arranged around a courtyard next to the keep. King Sigismund significantly enlarged the palace and strengthened its fortifications, Sigismund, as a Holy Roman Emperor, needed a magnificent royal residence to express his prominence among the rulers of Europe. He chose Buda Castle as his residence, and during his long reign it became probably the largest Gothic palace of the late Middle Ages. Buda was an important artistic centre of the International Gothic style, construction began in the 1410s and was largely finished in the 1420s, although some minor works continued until the death of the king in 1437. The palace was first mentioned in 1437, under the name fricz palotha, the most important part of Sigismunds palace was the northern wing, known as the Fresh Palace. On the top floor was a hall called the Roman Hall with a carved wooden ceiling. Great windows and balconies faced toward the city of Buda, the façade of the palace was decorated with statues, a and coat-of-arms. In front stood the bronze statue of Sigismund, repaired by King Matthias Corvinus. The southern part of the residency was surrounded with narrow zwingers. Two parallel walls, the so-called cortina walls, run down from the palace to the River Danube across the steep hillside, the most imposing structure, the Broken Tower, on the western side of the cour dhonneur, remained unfinished. The basement of the tower was used as a dungeon, the top floors were probably the treasury of the royal jewels, the last phase of large-scale building activity took place under King Matthias Corvinus. One of the seven towers of Fisherman's Bastion.